Select one of our fine-tuned Reseller Hosting solutions! DirectAdmin reseller hosting powered by high performance servers. If you’re a web designer you can use a reseller plan to add value for your existing and future customers. Or you can earn money by becoming your own full-time web hosting company ! Downtime equals lost revenue. You can depend on our superb support staff like they are your own. Furthermore, all plans come with FREE features such as DirectAdmin, uptime monitoring, a domain reseller account, unlimited SSL certificates by Let’s Encrypt and much more. 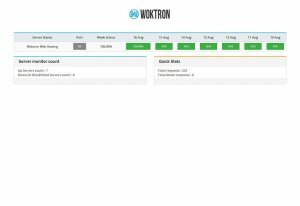 WOKTRON are DirectAdmin experts! 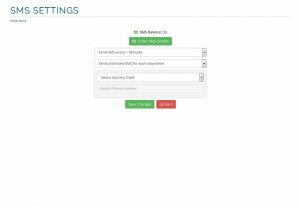 DirectAdmin is the most easy to use, yet fully featured web hosting control panel. DirectAdmin is highly secure and provides ease of use, and rock-solid stability. We include the highly popular Softaculous auto installer for FREE! Softaculous includes over 300 scripts and applications, such as Joomla or Wordpress, all available for easy, one-click installation. Our WordPress Solutions make it easy to get your website up and running with our 1-click installation. Our security protocols ensure your site remains safe. We know WordPress inside and out, so feel free to reach out! Our premium tier-3 Data center is a state of the art facility, utilizing a fully redundant network. It provides supreme uptime and lightning fast network connectivity worldwide! Built with enterprise class components only. Our web hosting servers utilize the latest Intel Xeon processors, reliable RAID-10 storage, 32-128 Gb RAM and high-speed 1000 Mbps network links. Secure your websites now by installing our free SSL certificates made available by Let’s Encrypt. Quickly installed, automatically renewed and available for all domains you host with us ! Get rid of your uptime worries! We watch your website, application or IP address. We reliably test the availability of services such as HTTP(s), ping, ports, keywords and blacklists. 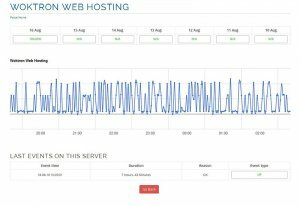 Knowledge is power, that’s why we provide you the information you need about the uptime and performance of your websites and servers in easy-to-read reports and graphs. Share your website, network service availability and load times with your teammates and/or website visitors using our brandable public status pages. 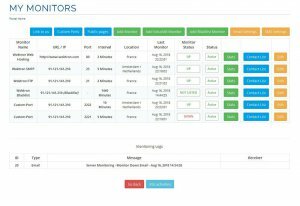 Be the first to know when your website or server is in trouble! You and any additional contact you setup can receive downtime notifications by e-mail and SMS. Try out our amazing Virtual Private Servers ! Magento is an open-source e-commerce platform written in PHP. Magento empowers thousands of retailers and brands with the best eCommerce platform to rapidly innovate and grow. with many more applications available for one-click installation!